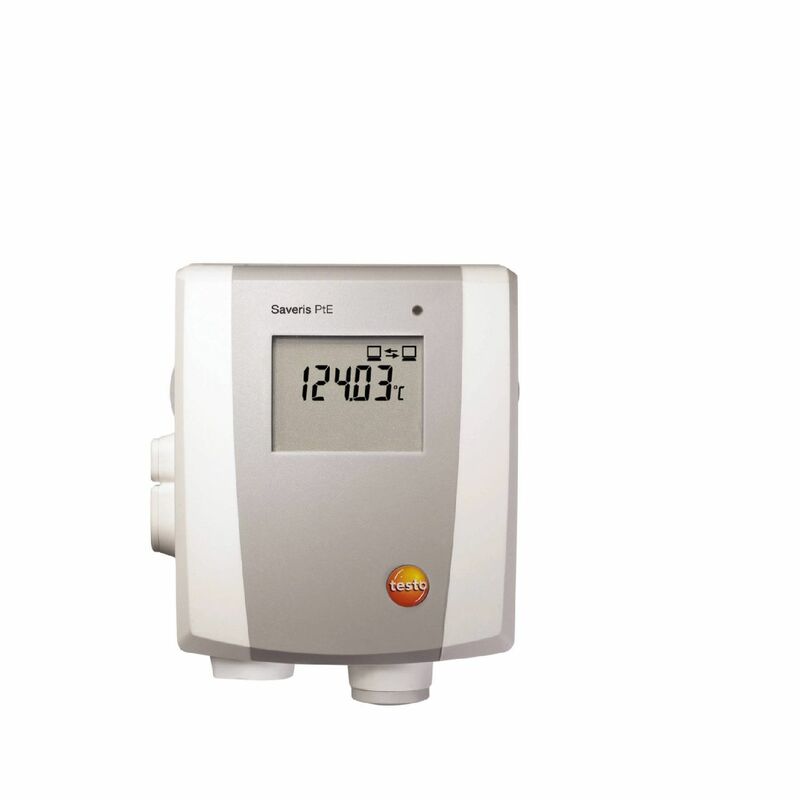 testo Saveris Pt E - 1-channel temperature Ethernet probe, including display | GMP Folyamatfelügyelet | Gyógyszeripar | Gyógyszeripar | Célcsoportok | Testo Kft. The Pt E Ethernet probe is also equipped with a display, showing the current measurement data, battery status and limit value violations. The Ethernet probe has a data memory for 6,000 readings. testo Saveris Pt E Ethernet probe with external Pt100 probe connection and display.